Bengaluru RJs talk about their passion for radio and the city that is "mood-centric". Some make us laugh, some entertain us, some give us company when we are stuck in traffic and some give us advice on love and life. Your favourite RJs are not just the voice, but also the soul of the medium. And yes, they are more than just the music they play. As one RJ said, "People can listen to music on their phones or mp3 players. They come to radio because of radio jockeys." While the medium of radio has evolved tremendously over the years, what largely seems to have remained unchanged is the role that radio jockeys play. With the advent of digital media, some are even considered influential personalities. Here's a peek into the lives of some of those familiar voices from the south that you’ll probably listen to today. That is RJ Shagufta for you in a nutshell. Born in Nellore in Andhra and brought up in America, Shagufta has spent the last decade in India. She feels her voice is not her greatest attribute and that becoming a radio jockey happened to her “by accident”. But more seriously, she says, it’s the many interactions with all kinds of people that make her day. “What I love the most about my job is that I can interact with so many different people, I can help them through their day with what I consider the best therapy, music!” she says. One of the results of being herself on air is that she has to undergo daily scrutiny for her accent. “I have a mixed accent so initially a lot of people used to think it was fake. Eventually they got to know me and realised my accent isn't fake, it's as confused and real as it can get. My accent is literally my story,” she explains. For someone who considers herself the “biggest pop culture maniac”, Shagufta finds it humbling to meet her favourite celebrities, including the Backstreet Boys, Jay Sean and Snoop Dog. Apart from hosting the evening show, Shagufta also has a gossip segment called "60 Seconds of Showbiz Sleaze" that plays throughout the week. “She's my alter ego, Sleazy Shagufta,” she says. 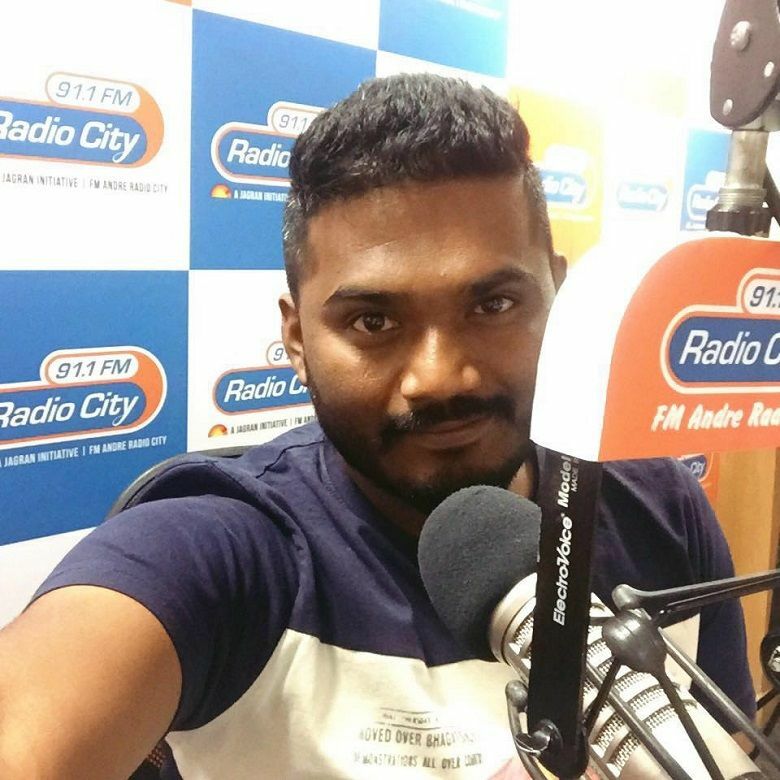 Pradeep aka RJ Pradeepaa- Radio City 91.9 fm, Bengaluru, hosts the evening show "City Maathu"
His career as an RJ, which he started in 2006 with Big FM, was something of a detour from his original plans. An engineer by qualification, Pradeep wanted to direct a movie, and television seemed like a good entry point for him to create contacts and establish himself first. "Radio happened by mistake. It was never planned. I used to anchor shows. Someone saw me on TV and called me for an audition," Pradeep says. At the time of clearing the audition, Pradeep says he had already bagged a placement with an IT firm, but let go of it to become an RJ. In 2008, he moved to Radio City. "Around 10 years ago, radio professionals had dual personalities — one that they wore on air, and the other was the real version of themselves. From the beginning, I did not want to follow the same format or have a customised persona. I am the same person when you listen to me on radio and when you meet me," he says. For Pradeepa, it is all about maintaining a balance between being "not too local", "not too sophisticated", and yet being a "colloquial guy". Among the several awards he has won over the years include the Excellence in Radio Awards 2015 in "RJ of the year (Kannada)" and "BestRadio Programme (Kannada)" categories respectively. Irrespective of the growth in other mediums, including the digital space, radio is still going strong, feels Pradeep. And the best example to prove that, he explains, is the Chennai floods. "With the help of radio, we were able to send 23 containers of aid and relief material to flood-hit Chennai and 5 containers to Puducherry," he says. Disha Oberoi- 93.5 Red FM, Bengaluru; hosts "Morning Number 1"
"I am having a steamy, roaring affair with radio," proclaims Disha, adding that she would have been a scuba diver if she were not a radio jockey. 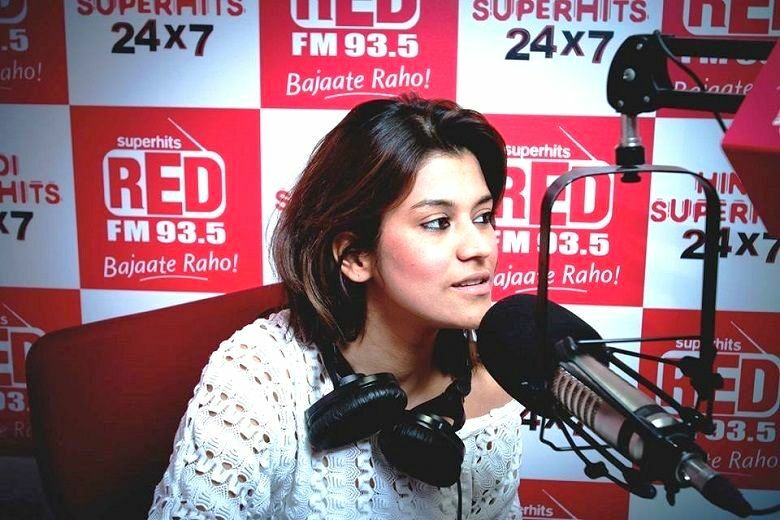 A former air-hostess, Disha's in-flight "deviyon aur sajjano" announcement, earned her more than a few compliments from passengers, which made her think about using her voice in radio ads to make some extra bucks. An audition for voicing ads turned into an opportunity to become an RJ, and Disha started with an English FM channel in Chennai, following which she moved to Bengaluru. While she can jabber almost non-stop on her show, she mentions that she is not as jumpy and hyper in real life. "I'd burn out quickly if it were so." "Since I am talking through most of the day, I don't speak to anyone at home," she adds. Although she started off wondering if Bengaluru would accept her, she’s come a long way from then. From being delivered Tirupati laddoos from a listener (who also prayed she has "lots of kids") to another naming his daughter after her, Disha has carved a space for herself in the hearts of her audience in the city. Last year, Disha was awarded a bronze in the prestigious New York Festivals: Radio Programming and Promotions Awards for hosting the third best morning radio show in the world. Although RJs today need to interact with their audience through social media as well, Disha misses "the enigma, the mystery, the imagination" that radio jockeys earlier created with just their voice. Want to know what Bengaluru likes listening to? "Bengaluru is mood centric," Disha says. "During weekends, they like crazy party songs, they might want to listen to mushy songs on other days, and at times they just tell me to surprise them by playing anything".